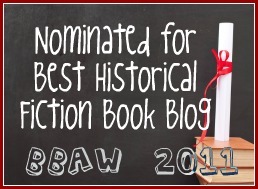 There are a lot of great historical fiction reading Challenges coming up next year - something for nearly everyone. We thought it would be a good idea to create a list of the challenges that we are aware of. Please let us know if there are any that we should have mentioned and we will add them to the post. Amanda from The Blog Jar has been reading a lot of Victorian novels this year and hopes to continue that, so she has created a challenge to encourage others to join her! There are different levels, and some mini challenges. The full details can be found on the challenge blog. The wonderful ladies at Royal Reviews are running their Historical Fiction Reading Challenge for the third year running. Curious – Read 3 Historical Fiction novels. Fascinated – Read 6 Historical Fiction novels. Addicted – Read 12 Historical Fiction novels. 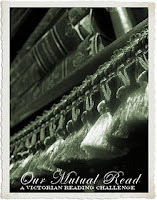 Obsessed – Read 20 Historical Fiction novels. I've signed up for the Obsessed level. Michelle from Benedictionary has announced her Tudor Book Challenge, where the idea is "to read books about or inspired by the Tudor era of the English monarchy." There are several gorgeous buttons to choose from, prizes and four different participation levels. You have to sign up by December 31 to be eligible for the prizes, so check out the challenge post now. This is the second year of the Art History Challenge, but this year it is being hosted by nomadreader. This challenge is for those of us who love to read about the art and artists from history. There are four different levels of participation and several lovely buttons to choose from. You can find all the details at the challenge blog. One of my favourite challenges this year was War Through the Generations which was focussed on WWII. In 2010, the focus shifts forward 20 years or so to reads about the Vietnam War. Kmont from Lurv a la mode is hosting Year of the Historical. 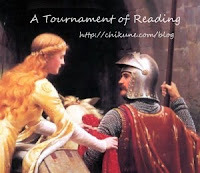 This challenge encompasses both historical romance and historical fiction, with the idea being that challenge participants will read one qualifying book per month. Ambrosia from Fire and Ice is hosting a Historical Fiction challenge, where the idea is to read one historical fiction book per month. Marny is hosting the American Civil War Reading Challenge. The idea is to read either fiction or non-fiction about the American Civil War, and there are four different participation levels. This challenge is already underway, but as far as I can tell it isn't too late to join in. 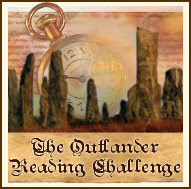 The idea is to read your way through the Outlander series by Diana Gabaldon by November 17 2010. Carrie from Reading To Know is hosting the second round of the Lucy Maud Montgomery Reading Challenge. This is a month long challenge that runs for the month of January, where the idea is to read one or more books by L M Montgomery. Last, but definitely not least, there is our own reading challenge, The Alphabet in Historical Fiction. The idea is that every each fortnight you have to write a blog post about an historical fiction book of your choice (it might even be something you already read before), but it MUST be related to the letter of the fortnight. There's the Time Travel Reading Challenge too.